You can send us the details in an email to sales@duration.co.uk. You can send us the details in a fax to 01268 510058. If you require a quote for Secondary Glazing or Bi-folding Doors you can use our online estimators to get prices quickly, easily and cheaper than office prices. 1. To Start Enter The Overall Manufacturing Sizes For Your Doors. Please enter the overall size that you wish for us to make your doors, in millimetres. Not the size of the aperture you wish to fit the doors into. 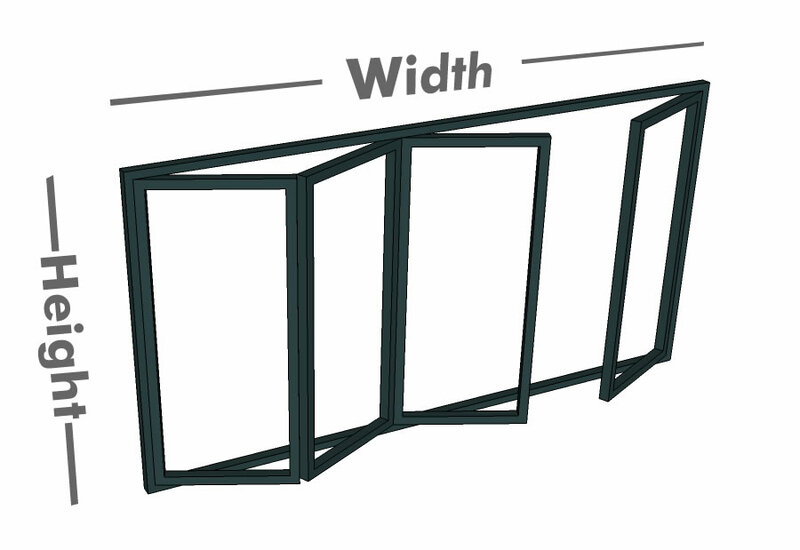 We will not take a fitting tollerence off your sizes, if you provide a width and height of 3000mm x 2050mm thats exactly the size we will make your doors. What do I need to consider when measuring the appeture? 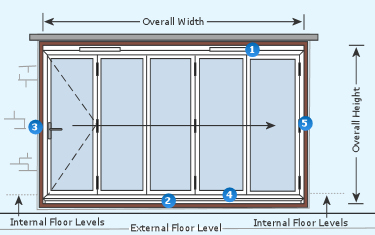 Our doors can be between 700 - 8400mm wide and 500 - 3000mm high (bifolds 500 - 1600mm high are considered to be windows). If you need your doors/windows to be bigger or smaller please contact us for help and advice.